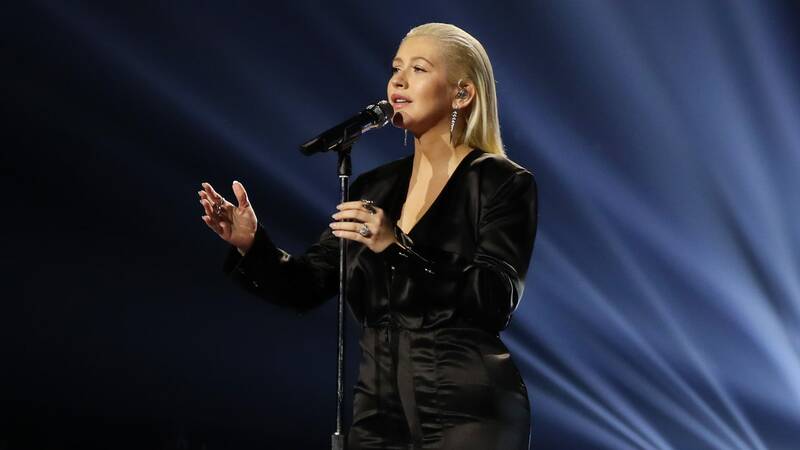 “Accelerate,” which was produced by Kanye West, is the first single Aguilera has released in two years following the solo single “Change,” which she recorded for the victims of the 2016 Pulse nightclub shooting in Orlando, Florida. “Accelerate” is also the lead single from her first album in six (yes, six!) years, Liberation. The album, which boasts guest artists including Demi Lovato and 2 Chainz, is set for release on June 15, 2018. Original story, published May 3, 2018, 4:23 a.m.: Christina Aguilera is up to something big. We just know it. The singer has been keeping a very, very low profile for quite some time, only surfacing recently at the American Music Awards where she performed a tribute to Whitney Houston. But aside from this, 2018 has had a definitive lack of Aguilera — until now. The final days of April and first days of May have seen Aguilera releasing a new cryptic video or post on Twitter about once a day. There’s definitely something afoot here. Something tells us this is all some kind of promotion for her next song or new album, but exactly what still remains quite mysterious. Take the video she tweeted on Sunday. A bank of TV monitors shows what could be various behind-the-scenes stills of a new music video. In the bottom left corner, one of the monitors shows a clapperboard with the name of the video blurred out. There are also scenes of her getting makeup put on and then what looks to be scenes from the actual music video. The mystery deepens from here. The second video, posted on Tuesday, features a voice-over by Aguilera. “You feel in life…You get to a place where you feel so comfortable and so routine, then you know you have to stop and start from scratch,” she says while lying on what looks to be a bed in a child’s pink bedroom. The bedroom is familiar. In the first video, one of the TV monitors on the left side shows the camera panning over a pink wall with what looks to be photos on it. Coupled with the very, very brief snippet of music we hear (a quick listen to her next single?) in the second video, we can’t help but wonder if this video is the beginning of a new music video. And then there’s the third video, posted on Wednesday. This one isn’t too exciting, with black-and-white video footage of Aguilera dancing and licking a bowl of milk rather seductively to a drumlike beat. But perhaps most interesting is that mere hours after she posted the black-and-white video, she posted a tweet that simply read, “#XXXXXX.” The number of X’s is the right number for a date, which means Aguilera could be moving on from videos as her teaser method of choice and going straight to slowly revealing the release date on a new song and music video considering all of this evidence. Fans already know the song’s name and the album’s name for this new Aguilera era. On Twitter, using the hashtag #XXXXXX, fans have been posting that the song, named “Accelerate” (which kinda makes sense since, in the first video where Aguilera speaks, she lights a match and could set something — an accelerant? — on fire) is coming any day now from her new album, titled Liberation. We’re excited too. It’s been a good, long while since we’ve had some new music from Aguilera. Whatever she’s ready to deliver, we’ll happily accept.